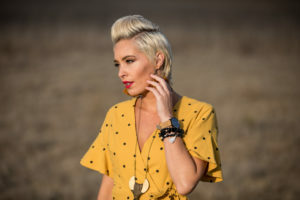 We provide your choice of on location or in studio Professional Make-up application for Special Events and Photo Shoots. All custom make-up looks are created using professional High Definition make-up products developed for photography. Make-up is applied using techniques that will help the make-up look last throughout the event. Owner Renee has been trained by Emmy Award-winning makeup artist, Kevin James Bennett, and celebrity makeup artist, Priscilla Ono. 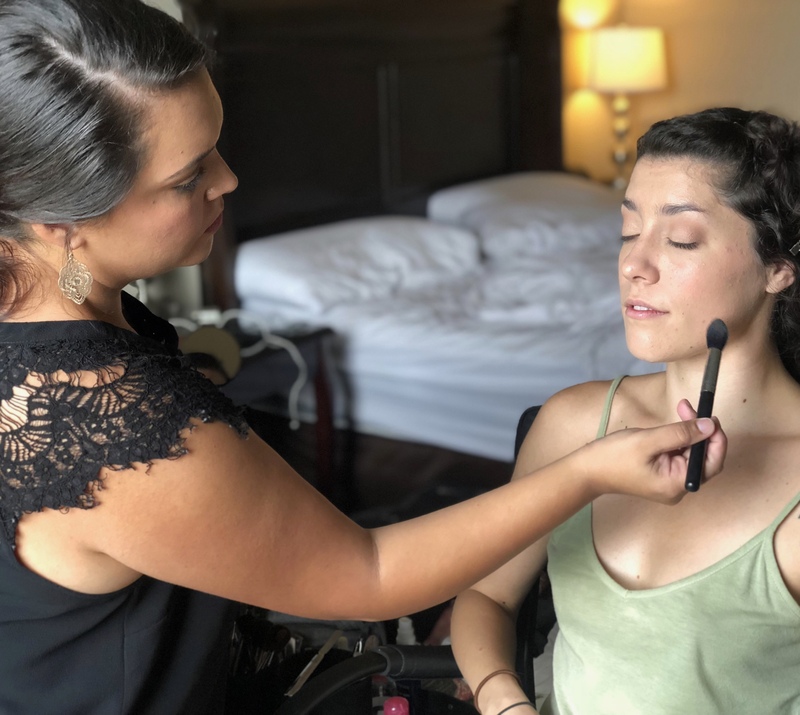 Renee continues to take Masterclasses yearly to stay on top of trends and to stay informed on the newest makeup technology, so Renee's professional makeup kit is always filled with the best professional makeup. Make-up session include up to 1 hour of application time to ensure your custom look is picture perfect. Look is created using professional HD makeup so you look great in person and in photos. Includes: Skin prep, Custom Make-up application using Professional HD make-up, and Custom False Lashes. Application done in our beautiful skincare studio located in Buellton. If you desire on-location application we are able to travel for an additional fee. At ReneeJean Makeup & Skincare we offer one-on-one makeup classes in our beautiful skincare studio located in Buellton! Learn make-up tips and tricks from a professional make-up artist! Learn tips and tricks on applying a full face of makeup. You choose the desired look or let Renee create a look for you to compliment your features. Learn eyeshadow blending techniques and eyeliner application techniques that will compliment your personal eye shape. Also learn which foundation color work best for you. Learn blending and application techniques to ensure your foundation, blush and bronzer are applied flawlessly. You will use your own personal makeup and makeup brushes to achieve the look, so you will know which of your own brushes and colors are best to use to achieve the desired look. 90 minute one-on-one class time. Learn which foundation colors work best for you. Learn blending and application techniques to ensure your foundation, blush and bronzer are applied flawlessly. 45 minute one-on-one class time. Learn eyeshadow blending techniques and eyeliner application techniques that will compliment your personal eye shape. We will use your own personal makeup to achieve the look, so you will know which of your own brushes and shadows are best to use. I will can also make recommendations for colors to add to your collection if desired. 45 minute one-on-one class time. Learn the art of feature accenting make-up application. Learn how to pick products that do not damage your skin. Learn about your face shape and the colors that compliment your eye color. The perfect class for any teen learning about make-up! 75 minute one-on-one class time. Gather a group of your friends for a group make-up class in our skincare studio. Includes up to 2 hours of instruction through a full face of make-up and one-on-one help. Bring your make-up bag and make-up brushes and Renee will show you how to achieve the look using your own products. Learn tips and tricks for applying make-up on yourself. While learning about make-up with your friends, enjoy a glass of wine and some snacks! Group class requires a minimum of 4 people and a maximum of 8 people. Contact us to plan your party and receive specific pricing. book your Makeup Application or Makeup Class here!